Why we Need to Learn to Love...Fat! Fats. This is a huge topic! They have a bad reputation, and let’s face it, most of us are afraid of them. I have learned to love and respect fats, and I would like to share some information that will hopefully encourage you to start adding good-quality fats back into your diet. What is a good-quality fat anyway? Not all fats are created equal. They are made up of different chemical structures (saturated versus unsaturated), but they also come from various sources, and are processed using a variety of methods. All of this results in not only a spectrum of flavour and texture, but also of quality. Let’s start with the good. There are certain types of fat that are healthy for us to have in our diets, and play a major role in bodily functions such as reducing inflammation, supporting our brain and nervous system, nutrient absorption, and not to mention, keeping our skin and hair looking fabulous! So yes, our bodies NEED fat, and if we want to be feeling and looking our best, it is important that we incorporate the right amount and right type of fat into our daily diets. The bad fats, on the other hand, can be quite detrimental to our health. Much research has been done to study the effects of specific fats and how they negatively affect our health. Obesity, cardiovascular disease, and even cognitive decline, have been linked to poor-quality fats. 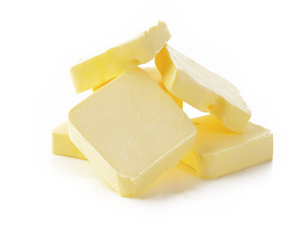 If you are looking to prevent the onset of disease, choosing fats wisely will be important. It is easy to find an abundance of bad fats in the typical North American diet, so it is important to know what to avoid, and to find ways to incorporate the good stuff. Every choice counts! I feel that simply listing the good and bad fats would be doing an injustice. I want to give you as much detail as I can, so you have a true understanding of what to choose, and what to avoid—so begins myWholeLife’s first mini-series! This week it is all about fat. So check in with us regularly because you cannot afford to miss information that is so vital to your health and wellbeing!